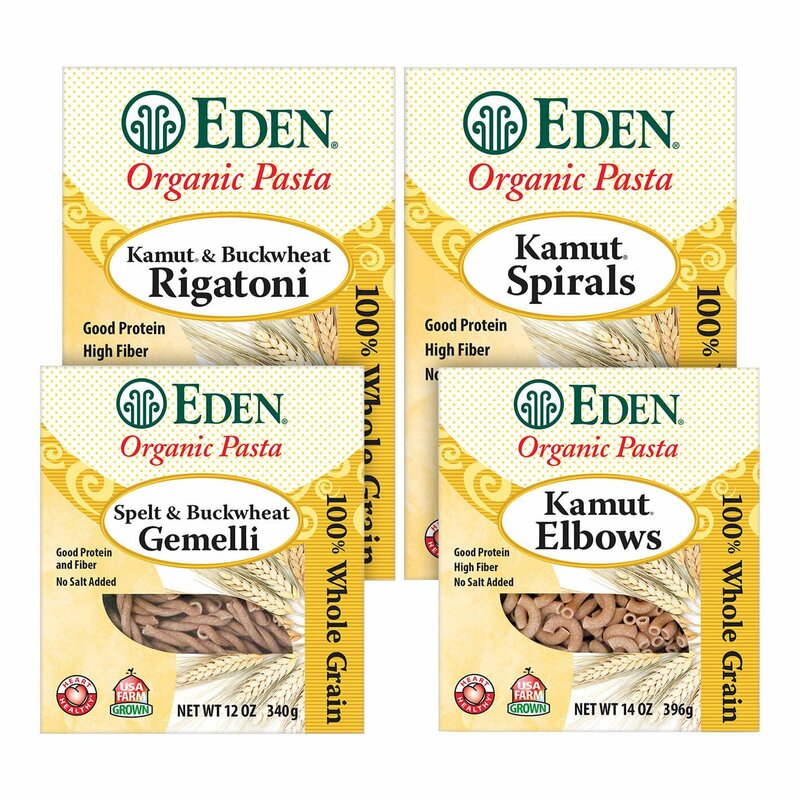 More fun to eat twists, tubes, spirals, and elbows all made from organic grains: spelt, kamut, and buckwheat. All four varieties are made from 100% whole grain organically grown on USA family farms. Each offers delicious flavor and delightful texture. No salt added and pareve. Make fiber rich whole grain pasta part of your heart healthy lifestyle.